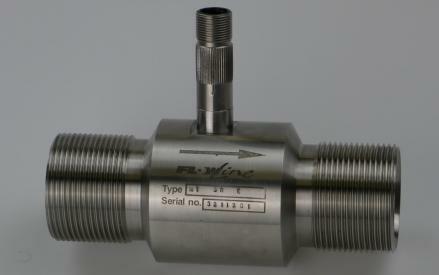 High quality Turbine Flow Meters suitable for most liquid flow applications. Flow causes the multi-bladed rotor to turn at an angular velocity directly proportional to the velocity of the fluid measured. As the blades pass beneath a magnetic pickup coil, an AC signal is generated. Each pulse is equivalent to a discrete volume of fluid. Because the AC frequency is directly proportional to the rotor's angular velocity and the cross-sectional area of the meter is fixed, the frequency is directly proportional to the flow rate. 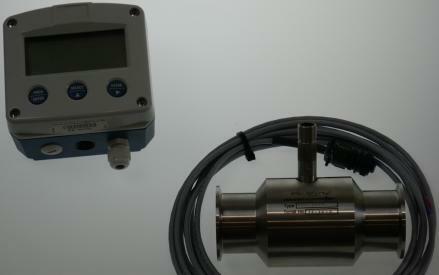 The AC waveform generated is sinusoidal in nature, so it is easily transmitted to local or remote electronic instrumentation. Meter sizes: 3/8", 1/2", 3/4", 1", 1 1/4", 1 1/2", 2" and 3"